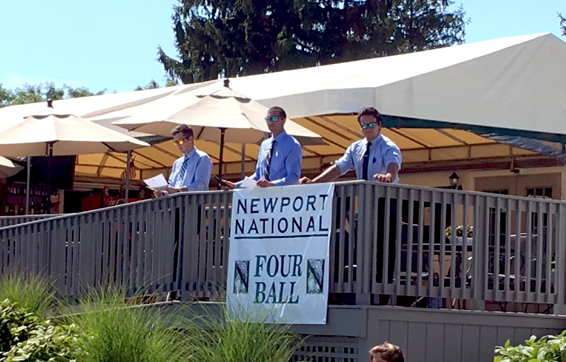 The Inaugural Newport National Four Ball Championship was a resounding success. 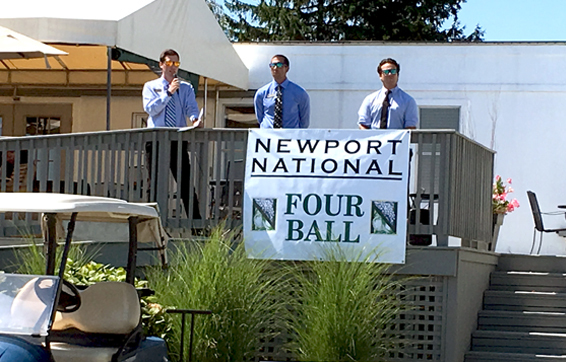 Eighteen teams of two vied for the title of Low Gross and Low Net Four-Ball champion. 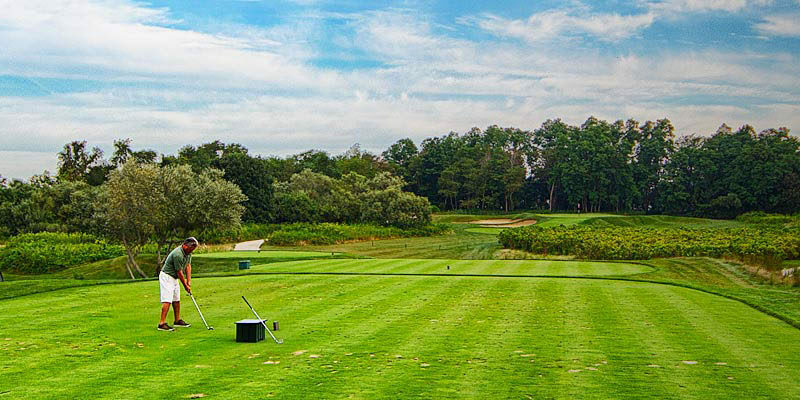 Each team was eligible for best ball Low-Gross and Low-Net prizes. 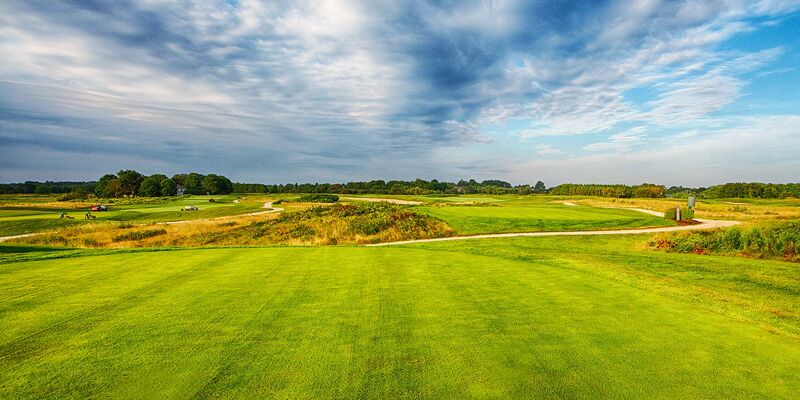 The day included a lunch and dinner buffet, as well as drink service during the round. 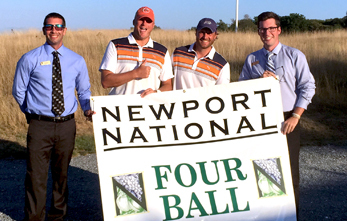 The team of Mike Reynolds and Jeremy Rohrs were crowned Gross Champions with a score of three under par 69. 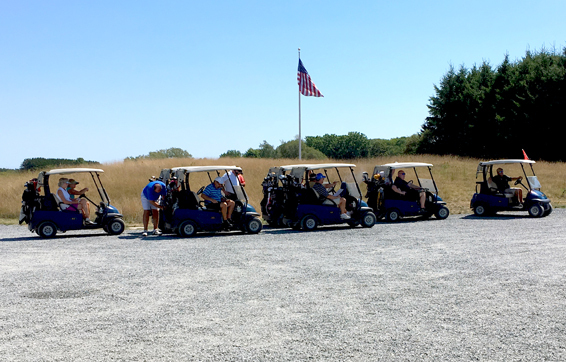 Team Reynolds/Rohrs edged out the team of Jim Mitchell and Tim Redmond by one stroke, after Mitchell/Redmond carded a score of two under 70. The silver medalist was determined after the team of Mitchell/Redmond made a par 4 on the number one handicapped 6th hole. 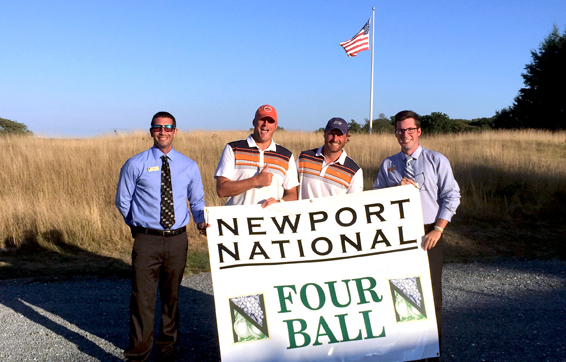 The Reynolds/Rohrs team was on fire carding an eagle and 4 birdies during their round to capture the overall Newport National Four-Ball title. Backer edged out the team of Arthur and Jamie Chapman with a Net Birdie 3 on the 6th hole, crowning them Net Four Ball Champions. The Fino/Backer team bounced back after a stagnant start and finished 3 under par on their final 4 holes, including a net birdie on the #1 handicapped 6th hole, to claim the win. 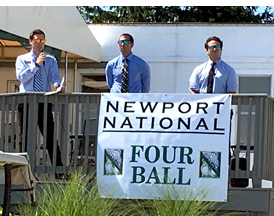 The Inaugural Four Ball Event was well received by all, and we expect more teams to join the quest next year to be crowned the Newport National Four-Ball Champions!! !